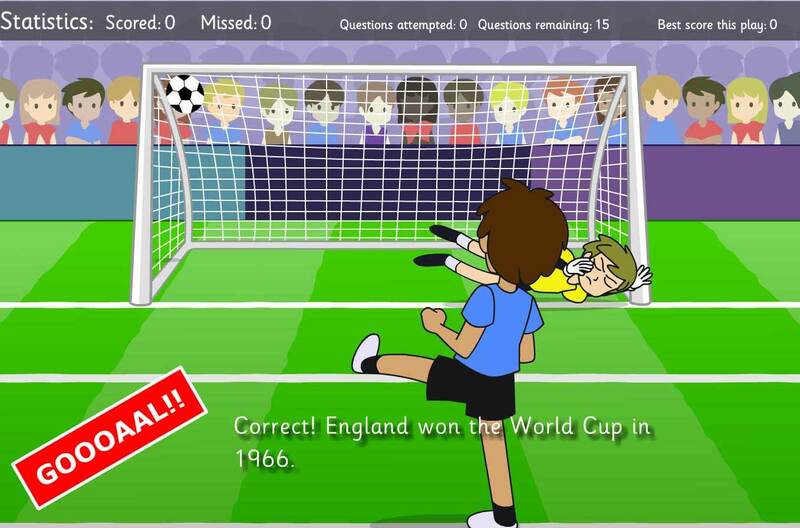 The World Cup Maths Challenge reveals a new question every day! 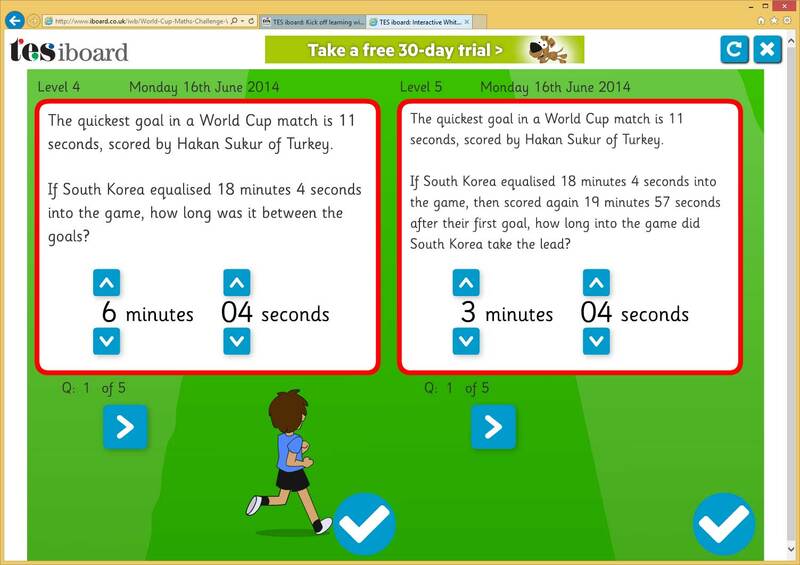 We’re pleased to announce the release of the World Cup Interactive Quiz, and the World Cup Maths Challenge, two online games we were commissioned to build by TES. Developed for TES iboard, we were commissioned to build several games and interactive educational activities based around the World Cup, as part of a new topic pack. The activities we developed included the flagship activity for the collection, a free interactive quiz to help promote their World Cup packs of educational games and activities, driving traffic to the rest of the collection. The quiz features two levels of questions, and keeps track of high scores, as well as presenting statistics to the player at the end of each game. We also developed a World Cup Maths Challenge which reveals a question a day throughout the World Cup, testing level four and level five maths skills. You can read more about the World Cup topic packs on the TES iboard blog.